On Friday, a suspect who caused a crash that killed a college freshman home for her mother’s birthday, made his first court appearance and faced her grieving family. 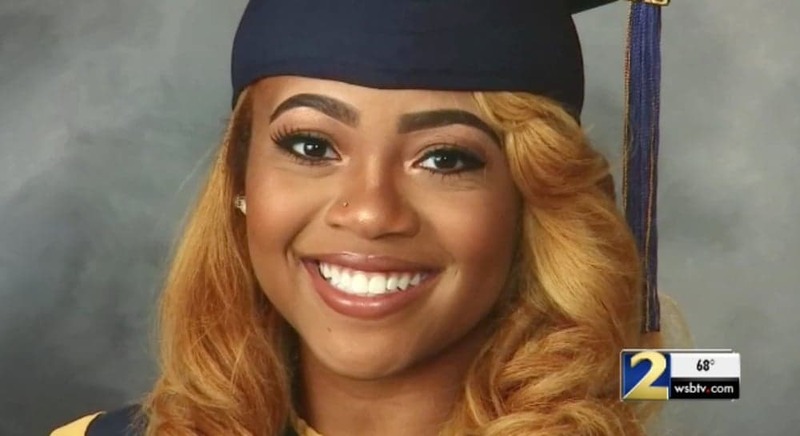 Kennedy Segars, 18, was killed in a car accident after a man charged with DUI hit the back of her car as she stopped for a traffic light near her parent’s DeKalb County home on Sunday. Segars’ family came out in force to the DeKalb Magistrate courtroom in Decatur to dispute the bail hearing of the driver Reginald Stubbs. Segars’ family opposed the house arrest that the suspect’s attorney asked for. They made mention that the family lives a mere mile away from Stubbs and do not feel comfortable with his release on bond. The Magistrate judge didn’t come to a decision on Friday because emotions were high in the courtroom. “I hope and I pray that the man responsible for this he pays for it,” said Fallon Barns, the victim’s best friend. According to police, Stubbs was speeding at 70 mph when he rear-ended Segars’ vehicle. Segars was a college freshman at Alabama State University. She was home visiting for her mother’s birthday when the crash happened. Stubbs, 52, survived the crash, but Kennedy was pronounced dead on Monday after suffering massive brain injuries. Stubbs refused to take a breathalyzer test at the scene, police reported. But they believe he was drunk and caused the accident.